The present pension building was built in 1923 by the grandparents in rural style with red clinker as a farm. Agriculture was carried on until 1974. Since 1993, we welcome our guests in the restored and modernized former farm in the non-smoking guesthouse. In our bright and well-equipped apartments so real holiday feeling comes on! For relaxation and recreation, load the many seats and beach chairs in our 3000 m² garden with a view of the bay. 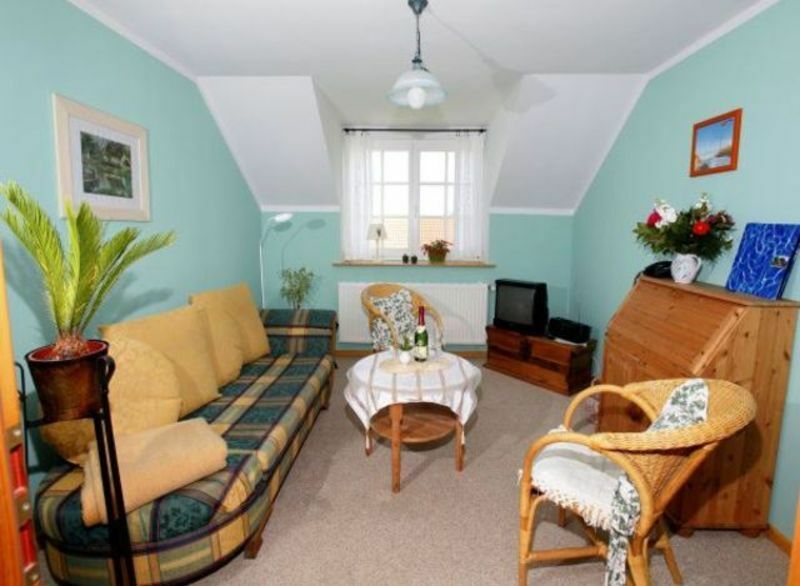 The guest house is classified Viabono and is a partner of the National Park Boddenlandscape Vorpommersche. In exclusive Boddenlage, on a hill and off the Bäderstraße you can enjoy peace and tranquility. The European cycle and long-distance hiking trail leads directly past our house and invites you to long bike rides through our unique landscape.